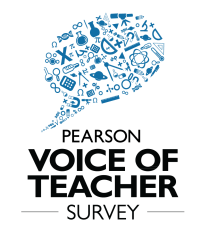 This is to invite you to participate in the Pearson Voice of Teacher Survey 2014. The survey aims to give voice to India’s teaching community - focusing on topical issues facing India's Education Sector. In 2013, the survey received feedback from 3,262 teachers from across 25 states. This year, the survey aims to gauge the role of teachers on 'Driving Learner Outcomes'. We will be extremely grateful for your early response. The survey closes on Wednesday, 14 August 2014. Upon completion, we shall share a complementary copy of the findings with you..